Inside the hotel is this lovely bistro, La Voute, (translation: the vault) named for the original vault that sits in the dining room with a signature from then FBI head J. Edgar Hoover. 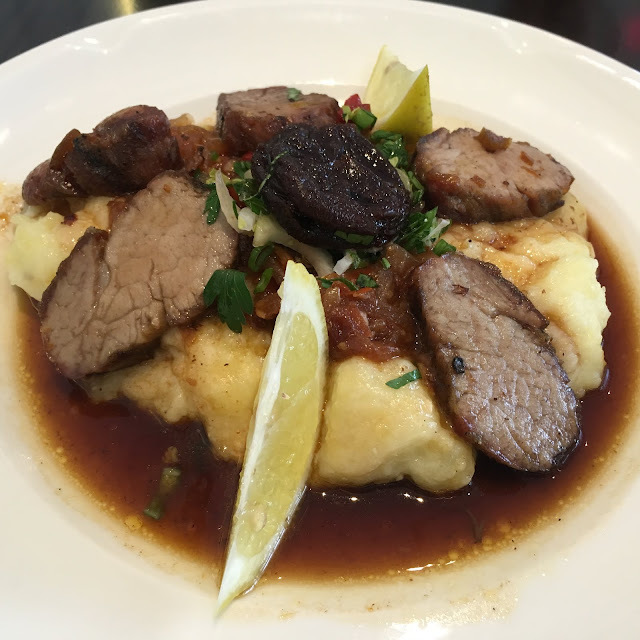 I had been to a media preview just before it opened and everything I tried was beyond good. Way beyond good. The starters and entrees were all fantastic and the desserts are such beautiful works of art that you feel guilty digging into them. I recall that the scallops were some of the best I've ever eaten. I was excited to get invited to come back and enjoy a meal at La Voute and the timing was perfect. My sister, Pam, also an intense foodie (there's four of us sisters) was visiting from Arizona. She's been out there a couple years now and boy do I miss the days of going out for a bite to eat together. 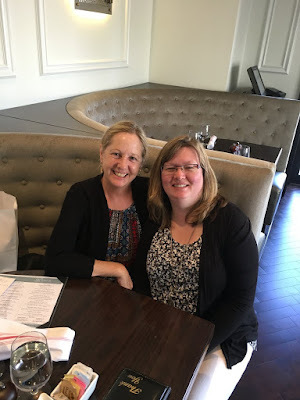 She used to live in Geneva, Illinois and before that Elmwood Park, Illinois and there were so many good restaurants around both places that I remember. 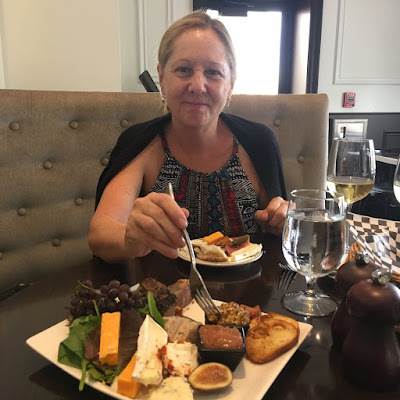 So, when we were making plans to get together during her visit, I was happy we'd be able to experience lunch at La Voute together. 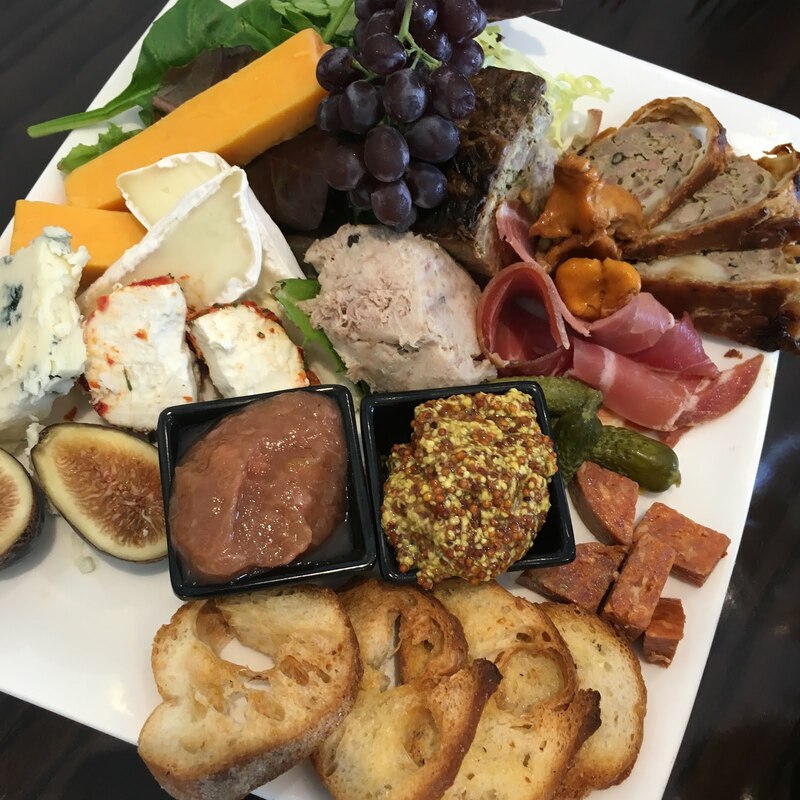 We started with a beautiful cheese and charcuterie plate with some fantastic cheeses, figs, champagne grapes, stone ground mustard, homemade strawberry rhubarb jam, liver, proscuitto, liver mouse, pork and veal loaf, mushroom and cornichons with some greens and crostini. Paired with wine, this could have easily satisfied both of us for lunch, but on we went to the next course any way because I knew everything would be amazing. Our wonderful server, Kim, helped us out when we couldn't decide on a wine. 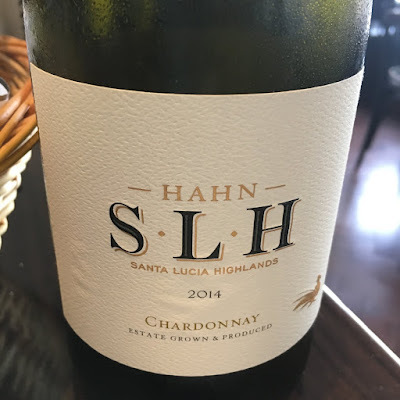 She brought both a Hahn 2014 Chardonnay and a Alois Lageder Dolomiti 2015 Pinot Grigio. 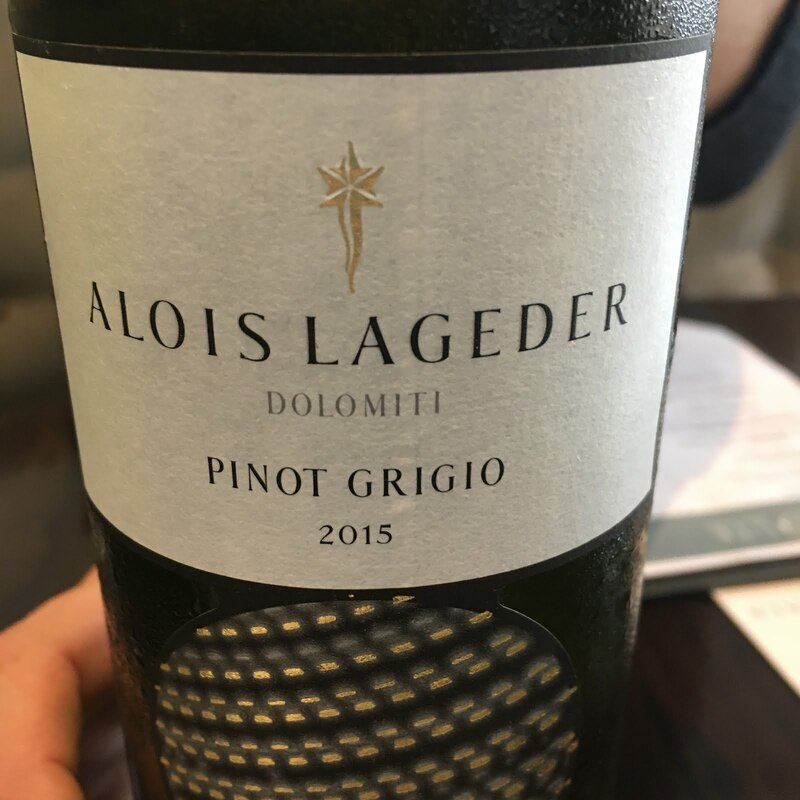 I ended up having the chardonnay with the charcuterie and the pinot grigio with my entree, both great suggestions. We settled on two of the lunch specials. Something new to the menu are a variety of seasonal offerings in lunch portions for just $12. 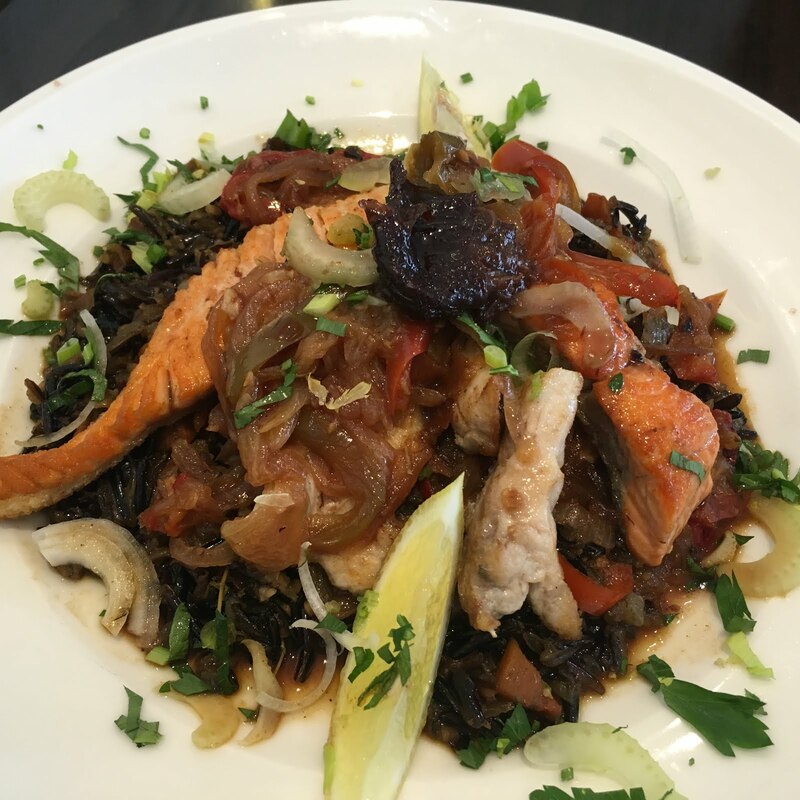 One we ordered was a salmon and sea bass entree with long grain rice and a mix of other salted vegetables. The other was a pork tenderloin over some very flavorful potatoes. Really, we should have stopped there, but...how do you pass up dessert at a place like La Voute? From the media preview I'd been to there was one dessert I remembered very well - the signature gold bar. And it's what I'd most recommend because you just have to experience it once. Trying to describe it, I know doesn't do it justice, but it is a very rich layered bar that is almost too beautiful to eat. 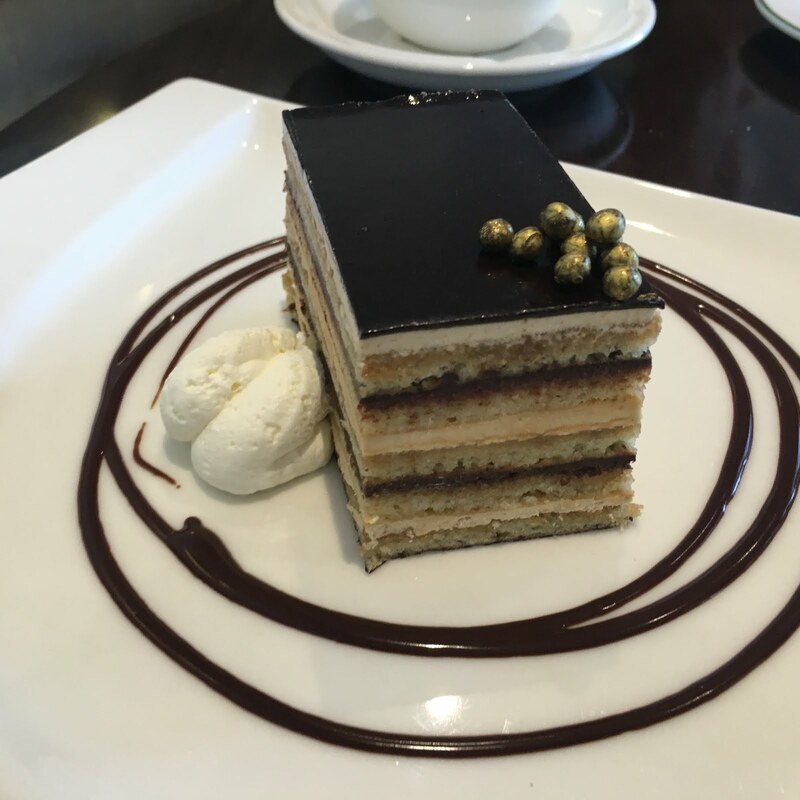 Pam went with the Opera Cake, which was amazing. Me? 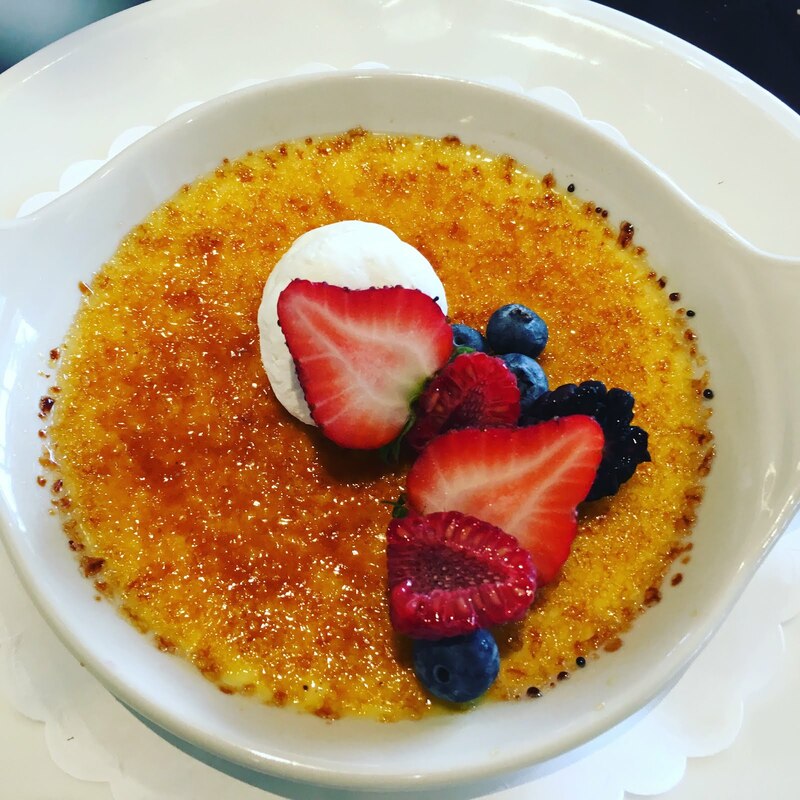 I went with one of my all-time favorite desserts, creme brûlée and it did not disappoint. This place is such a gem and was so needed in the south suburbs, where we are heavy on casual eateries, but lacking in fine dining and more upscale cuisine. 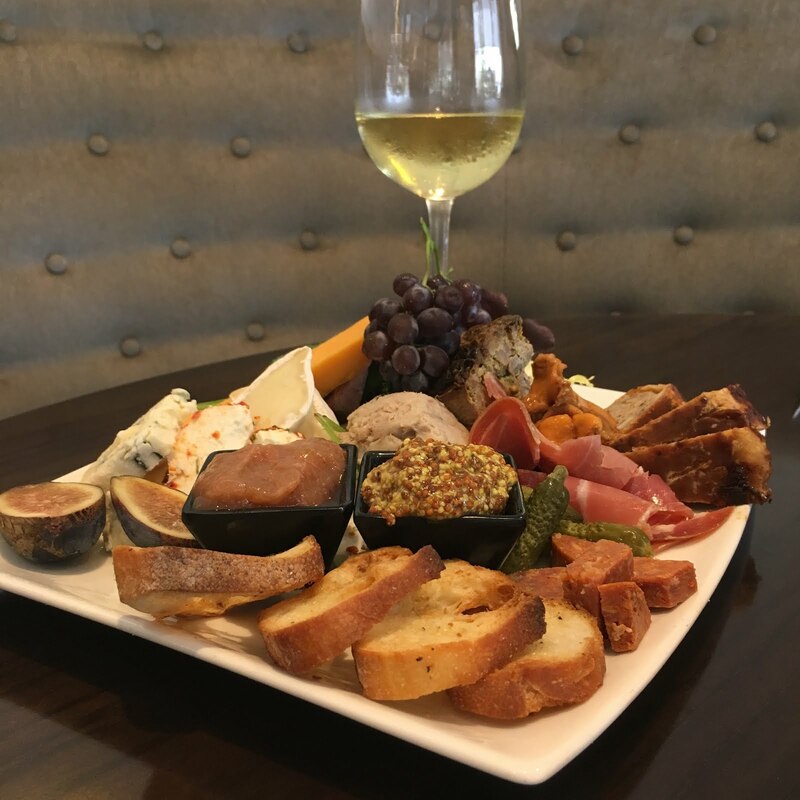 You really feel like you're dining on the Gold Coast or in River North when you're dining at La Voute. Hotel restaurants often get overlooked if you're not a guest there, but this place is definitely worth seeking out even if you're not heading there for lodging.